Pay per impression affiliate programs (also known as “CPM” advertising) pay publishers and bloggers a stipulated fee for every thousand verified instances. Instances in which a web browser displays the advertiser’s promotional content. However, hosts don’t necessarily need visitors to their websites to necessarily purchase anything in order to make money themselves from harboring the ad. Meanwhile, advertisers pay a proportionate cost only for verified exposure. Wondering which can help your cause? Rather than wonder, let’s look at a few of the most proven-successful networks for getting started on either end. 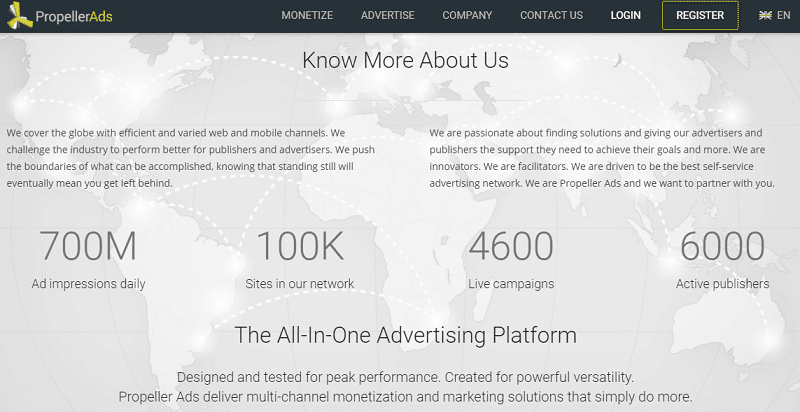 Propeller Ads offers a fantastically straightforward pay per impression affiliate program with versatile ads fitting every screen type and several flexible payment options available to anyone who can verify ownership of a domain. Consequently, their Net30 policy guarantees that each and every $100 minimum payout will arrive via Payoneer or wire transfer within no more than 30 days with real-time tracking to keep tabs on expected revenue. The service skims only 20 percent of each payment issued. Therefore, it also offers a nice $50 signup bonus for new accounts, making it fast and easy to start turning a profit. Offering minimum payouts starting at only $50 may seem like a disadvantage when comparing HilltopAds with other pay per impression affiliate programs who start much higher, but that actually works in the service’s favor. Publishers can theoretically expect to be paid more frequently. They are charged no transaction fee from the network for receiving payments through a range of channels such as Bitcoin and Payoneer. Best of all, their technology circumvents ad-blocking programs to improve the odds content shows up in targeted browsers. With a diverse array of ad types and a reputation for working especially effectively with medium or high-traffic mobile websites, this is one to look into right now. For sheer consistency, AdBuff, not to be confused with AdMob, is a tough pay per impression affiliate program to beat. As long as your site meets their minimum threshold of 2,000 unique visitors per day to qualify for an account, their network’s content enjoys a rare fill rate of nearly 100 percent. Their streamlined interface will get anyone started in short order toward receiving regular payouts starting at $100 through modes such as PayPal, Payoneer, Bitcoin and direct wire transfers. AdBuff also happen to be one of the few services offering an iOS and Android app with immediate real-time revenue tracking. The option to combine CPM and cost-per-click (CPC) advertising makes it that much easier to diversify profitable advertising streams. All the same, check out this great article explaining AdBuff vs AdSense. This does show how and what and all the in betweens! Plenty of pay per impression affiliate programs offer smooth real-time data keeping tabs on income. 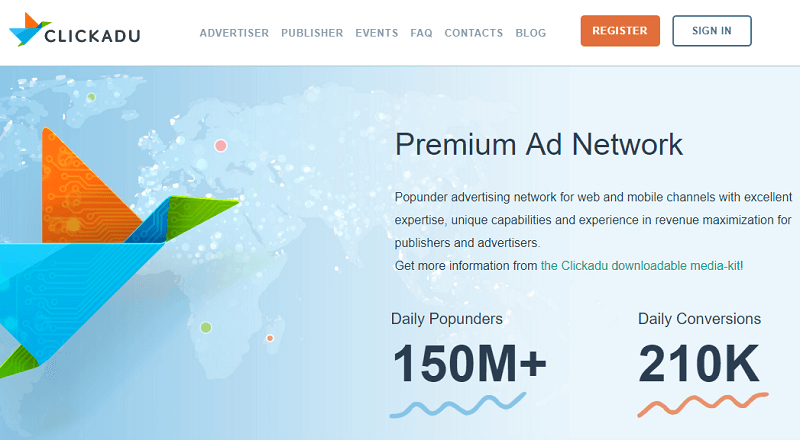 ClickADu is one of the best that provides impressively accurate forecasting that predicts revenue for any given period. Their account dashboard not only tallies average CPMs but breaks down rates according to geo-locations and device types to help you improve your earning strategy. Fill rates are consistently outstanding and publishers receive membership approval within 24 hours. In addition to wire transfers, payment options include Paxum, E-Payments, Epese, Webmoney and Payoneer with payouts starting at $100. If you have a site well-suited by its traffic to showing pop-under ads, this is an excellent option. There’s a reason Amazon CPM Ads is always highly regarded among pay per impression affiliate programs. The selected affiliates who qualify based on consistently rich traffic to just one site or several domains can reap revenue easily on par with the multifaceted e-commerce and retail giant’s wildly successful native ads. Once you set your personally targeted CPM, Amazon will only serve up ads from their own services. Ads remain fresh and relevant thanks to automatic updating and offer robust, current data to better inform your account management. Should an ad fall short of your performance standards, the “passback” feature will display substitute content. Publishers by the tens of thousands and more than 5,000 brands turn to this pay per impression affiliate program. It isn’t hard to see why. Conversant Media requires at least 3,000 monthly impressions for any mobile app or website to display their tremendous selection of content types, which is quite a reasonable requisite. Additionally, it doesn’t take long at all to start receiving payments by way of PayPal or check. Payouts begin at an astoundingly low $25. Conversant may not be your first choice. There are few better options if your site is growing fast but can’t quite meet other networks’ traffic requirements yet. Approval standards keep many promising sites out of high-performing pay per impression affiliate programs. UberCPM thrives consistently on instant approval according to extremely reasonable guidelines and an 80-percent revenue share for publishers that few services will beat. Hence, when numerous advertisers bid on the internet’s largest ad exchanges for space on your site, you win big eCPM. As high as $10 once your rates optimize within around four or five days after advertisers peruse your domain. Payouts arrive monthly via wire transfer, Payoneer and PayPal with 24/7 support and statistical tracking along the way. Nonetheless, all ads are safe to display in conjunction with Google AdSense. Making for a trustworthy partnership publishers of any size should easily appreciate. Through the pay per impression affiliate program officially known as Yahoo! Bing Network Contextual Ads Powered by Media.net, publishers can custom-create display units for ads across the Yahoo! Bing Network. Nonetheless, all member websites have to meet a tremendous expected volume of regularly updated original content without violating third-party intellectual property rights. It can be a tough creative pace to maintain. However, access to their echelon of advertisers is more than worth the effort for prolific, high-traffic sites that measure up. Finally, there’s BuySellAds, one of the most highly recommended pay per impression affiliate programs for fledgling website owners. For starters, there’s no minimum traffic requirement. Even your site’s first several-hundred visits can start you on your way to a profitable venture. Just as importantly, your earnings will grow right along with your unique visits. As a result, you receive the money your domain earns on demand via PayPal. You will see this within two to three days of a minimum $20 payment request and 75 percent of the revenue BuySellAds rakes from advertisers. Members are limited to two payouts per month. 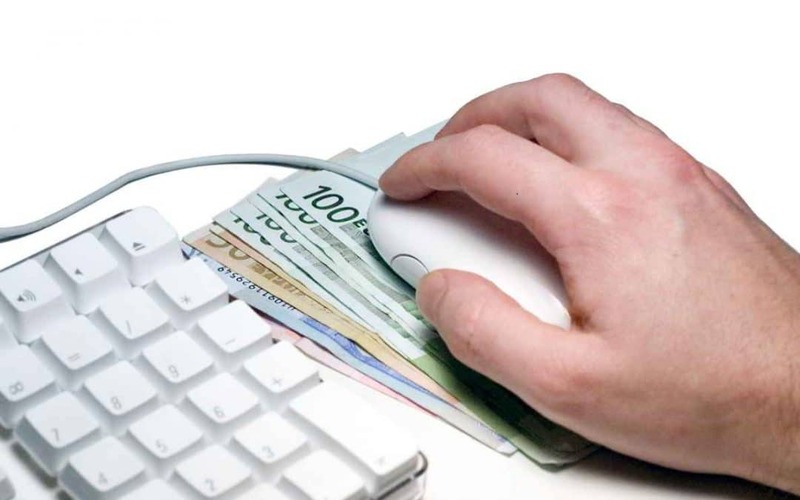 Online wire transfers and check payments up the minimum amounts to $500 and $50 respectively. Are all pay per impression affiliate programs created equal, the same? No. As you can see, they have their pros and cons that often bring competition into equilibrium. The only wrong way to approach CPM advertising on your website is to avoid it entirely.